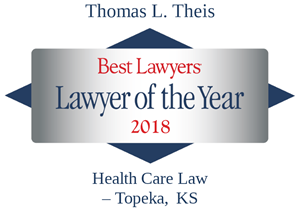 Successful defense of physicians, nurses, provider groups, hospitals, nursing homes and other medical professionals in hundreds of professional negligence lawsuits in the trial court and on appeal. Medical clients have included anesthesiologists, CRNA’s, pediatricians, pediatric critical care specialists, hospitalists, emergency medicine specialists, endocrinologists, pulmonologists, plastic surgeons, general surgeons, ENTs, gastroenterologists, neurosurgeons, radiologists, urologists, obstetricians and gynecologists, infectious disease specialists, nephrologists, neurologists, medical oncologists, surgical oncologists, radiation oncologists, psychiatrists, psychologists, physiatrists, orthopedic surgeons, cardiologists, cardiovascular surgeons, urologists, pulmonologists, ophthalmologists, retinal surgeons, family practice specialists, general internists, rheumatologists, dermatologists, otolaryngologists, thoracic surgeons, emergency medical technicians, rural hospitals, urban hospitals and regional referral centers, physician assistants, ARNP’s, radiology technicians, respiratory therapists, physical therapists, office and hospital nurses. Changes to EMTALA? Stay Tuned . . . . .